Three sources to help you understand why the Higgs Boson confirmation is interesting in a practical sense: very short interview with Cox on bbc.co.uk, a cartoon explanation, Hawking loses $100 bet about the Higgs. I bought a Circular Polarizing filter on Bart and Victor’s advice. Jim Sewell explains how he feels about having his apps abandoned with iOS 6. CloudMagic review from cloudmagic.com. Scanner Pro review from readdle.com. in Chit Chat Across the Pond Terrance Gaines, aka @brothatech from brothatech.com joins us to talk about why ecosystems may or may not be important. Hi this is Allison Sheridan of the NosillaCast Mac Podcast, hosted at Podfeet.com, a technology geek podcast with an EVER so slight Macintosh bias. Today is Sunday July 8, 2012 and this is show number 374. Several people have asked whether Steve and Bart would make a reappearance on the show to talk about why the Higgs Boson discovery this week is so important. They actually did give it their best shot back on show #345 so we’re not going to revisit it, but I do have a couple of source to help you wrap your brain around it a little bit better. Brian Cox is a particle physicist who has a unique ability to bring physics to the common man. He’s enthusiastic and articulate and knowledgeable and a delight to hear. I put a link in the shownotes to a very short interview with Cox on bbc.co.uk where he’s asked why we care about the Higgs and what it means to us in a practical sense. And finally there’s a rather amusing short video of professor Stephen Hawking explaining how he lost a $100 bet when the Higgs was finally confirmed. 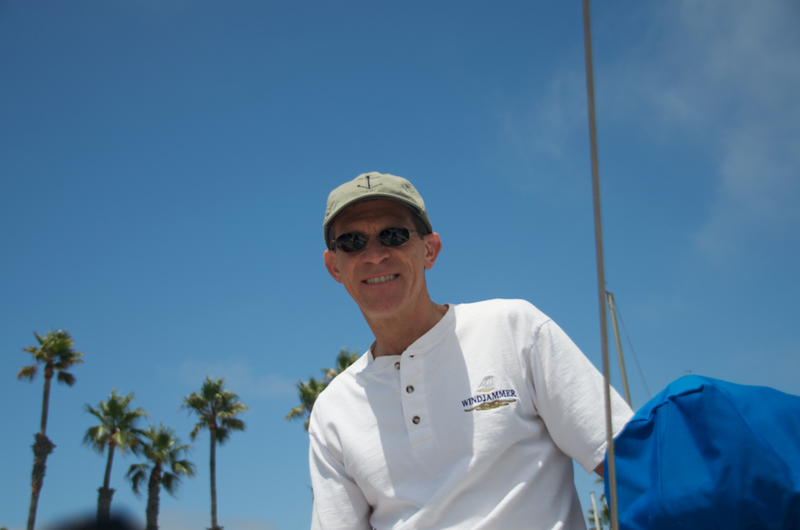 Last week on Chit Chat Across the Pond Bart had a short segment on circular polarizing filters. A while before I got to attend a Google Hangount with photographer and Mac geek Victor Cajiao where he was giving a bunch of us advice on our photos. During that event (which was awesome) Victor showed us a picture he took of a man standing in front of the ocean that somehow kept the detail and beauty of the ocean while also highlighting the man in front, almost as though he’d used a fill flash. 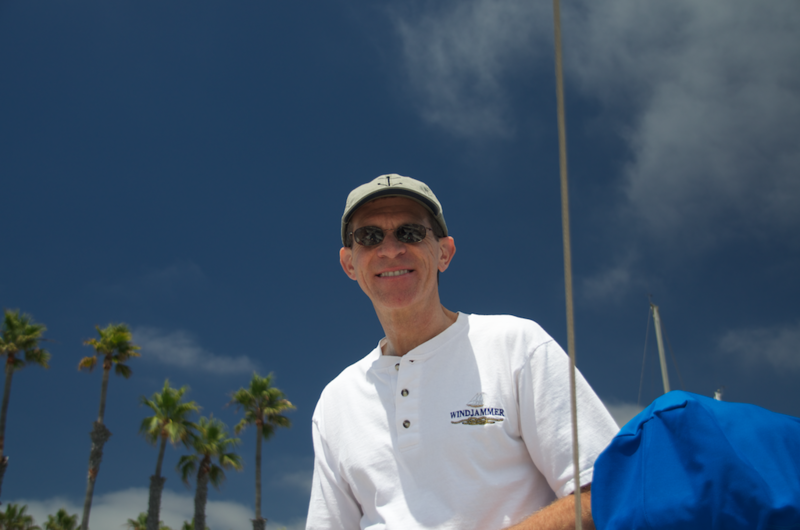 I asked him how he got such a great shot and, you’ve probably guessed it by now, he used a circular polarizing filter! So between Bart and Victor, I really had no choice but to buy one for myself. On Saturday Dorothy – aka @maclurker and her husband Marc took Steve and I sailing (which was awesome by the way) and we took a ton of photos with the filter, testing it on everything. I really like the effect you can get with it. I put two nearly identical photos of Steve in the shownotes – one without the filter and one with. The difference is very dramatic. I think in general I might want to dial the dramatic effect down but it really allows Steve to be brightly lit and yet not have the sky blown out behind him. Anyway, thanks to Victor and Bart and Switcher Mark for the push to get this – it will be awesome to have with me on our vacation this summer! Anyway, I wanted to make the point that, as I see it, the problem with a new iOS every year-ish is not that they are leaving behind the old hardware. I can live with knowing that my 3 year old iPad will be slower and not as pretty as the new one. The problem for me is that every single freaking developer out there is writing features into their apps for the new stuff. That in itself is not bad, just give me 4 versions back of the app that runs on my old device – oh, wait, you can’t do that – I can only get the newest version of anything from the App Store! My Android phone can do that – when a developer missed a problem with my particular phone he just made the older version available on his website until it was fixed. I just had to remember not to update that app. But, alas, Apple chose a different route. Ok then, write your apps to detect which device it’s running on and adjust features accordingly… don’t have a retina display, drop back resolution. Don’t have a 5-gazillion megapixel camera, just make smaller pics. But “no one” is doing this! Granted, someone may do this but I don’t know who. This may even be a restriction placed on them by Apple and the way the App Store works, but it seems every time I hear about a great new app and I try to install it on my 2nd gen iPod Touch I get a message that it won’t run on that version of iOS, even if it uses none of the newer features! Argh! So, you see my frustration with having older hardware, particularly iOS devices. It’s not that Apple is running off and leaving me behind with hardware but rather that the software is running off and leaving me behind by requiring the latest iOS version. Hey Jim – you’re right about the live chat – what a great bunch of people in there every week. I know they don’t listen to me produce the show much, but they seem to enjoy each other a great deal. Now to your point – I had never thought of that side of the story. Having an older Mac, even knowing you have to stay back a gen on an older OS, you can still run the older versions of an application if you want to. My in-laws are happily sitting on Snow Leopard running Office 2004, which will be ok until Apple drops support. They’re on 5-6 year old Macs and no problems at all. But a 2 year old iPad won’t be able to run apps it USED to be able to run. You’re right to point to Apple’s insistence that everything go through the Apple store. As you say I’m sure the developers wouldn’t mind giving you an old version of the app as long as they’re not required to support it in any way. Thanks for bringing your perspective on this and YES I’m glad it gave you an excuse to bug me! After Tim Verpoorten and I stopped recording a few weeks ago, Tim did what he’s so good at – he started spouting off Mac and iOS applications I absolutely HAD to get. I didn’t get them all down but one of them really looks like it solves a problem I have. I’m not sure what the root cause is, but there’s something going wrong with search in Mail.app. I thought it was just me because when I mentioned it to Katie Floyd and she said she wasn’t having any trouble at all. Then I heard Andy Ihnatko talking about the exact same problem on Macbreak Weekly so I knew I wasn’t alone. Then I heard the Mac Geek Gab talking about it and I was certain something rotten was going on. My email strategy is to keep just about everything in my inbox, say 80,000 messages or so as of last count. That “strategy” depends on good search capabilities, and now search was boogered up. Tim suggested a very interesting Web service called Cloud Magic. I believe it’s aptly named, it IS magic. I simply went to cloudmagic.com and clicked the add a new service button. From there I was offered to choose from Gmail, Google Apps, Twitter, or Exchange. I chose Gmail and entered my email address and credentials. Lest you think I’ve completely lost my marbles and never heard a word Bart said over the last 5 or 6 years, the credentials are actually entered at https://accounts.google.com, and I’m then agreeing that Cloud Magic can have access to the information contained therein, I didn’t give Cloud Magic my password. What’s that saying, in for a penny, in for a pound? I went on to give CloudMagic all of my email accounts, and my Twitter account. When I now click on Manage connected accounts, I can see that not only are my email accounts accessed, CloudMagic can search my Google docs, and my Google Calendars, as well. Once I was done adding services, from there I was presented with a menu on the CloudMagic website that allows me to search Mails, Events, Documents, Contacts, Tweets or Everything. As an experiment, I searched on NosillaCast Live. That came up with a LOT of glop obviously, but when I clicked on Events, it showed me just the live show events from every Sunday at 5pm from the NosillaCast calendar. It was time to move on to searching email since that’s the real problem I’m trying to solve. This week a woman named Joan from the South Bay Apple Mac User Group I spoke to last week, where she talked about a paper USB drive she got in the mail this week. I went to the Cloud Magic website and searched in Mails for paper USB, and sure enough, the first 5 hits were emails from the SBAMUG mailing list about the paper USB drive. I tried a whole lot of searches, by title, by sender, by content and all of my searches were rewarded with the correct results. CloudMagic supports operators like to:, filename:, subject:, body:, cc:, etc in order to filter your results to what you seek. I noticed while I was messing around on the website that there are iOS and Google Play Android apps too. I installed the iOS app on my iPhone. it opens with a simple search field. I entered “from: Joan” and sure enough, there were her emails about the paper USB drive AND an email from another Joan from a while back. The response time for searches is really fast, especially considering the amount of content it’s searching and over the web. Once you’ve found an email or a tweet, you can click a little forward arrow at the bottom of the CloudMagic app and either forward if it’s an email, or perform a slew of operations from a Twitter result. You can open the tweet in a browser, forward as an email, retweet, reply to the tweet, mark as a favorite or DM the person back. So yeah, pretty much EVERYTHING you can do if you’d found it within the native app. The only downside is that there’s no iPad specific app and while it’s one of those 2X portrait only apps, it does function perfectly. I’m thrilled to be able to search emails again, but having Twitter search is a real first. We’ve never had a good Twitter search. Time will tell whether this helps me as much as I think it will but in my first tests it found words and people perfectly. So far we’ve got a nice web app for searching and an iOS app. let’s take it up a notch and test out the Chrome Browser extension. It promises to access your data on “all websites”, your tabs and browsing activity, your list of apps, extensions and themes. Yikes! But of course I marched forward, in the interest of science of course. I was treated to a browser tab entitled “Please take a minute to know your search box”. It turns out the Chrome Browser extension creates this little floating search window that shows up in Gmail and Twitter via their web interface. This little floating search window is awesome – you can search again mail, contacts, calendar, etc. and it’s wicked fast. Once you’ve found something in the little floating window, you can open the email thread in Gmail, or if it’s a tweet, you can retweet, reply or reply all right from there. You can even open urls present inside the tweet. So CloudMagic at cloudmagic.com is a free web service, the iOS app is free, and the plugin for Chrome is free. you pretty much don’t have an excuse to give it a whirl! Thanks Tim, so glad to have you back giving us free app advice! It’s time for “how did ScreenSteps help me this week”, one of my favorite segments of the week. A friend of mine wanted to publish one of my tutorials in another form and I realized that it would be an annoying task to pull down the html, or copy and paste the plain text in and have to mess with all the images. No worries because of course I create all my tutorials in ScreenSteps. I popped ScreenSteps open, entered a search to find the right document in my ScreenSteps library. Once it was open all I had to do was tap the Export button and choose either Word or PDF (I did both) to create two beautiful documents that would be easier for him to insert into other tools. I get such great joy out of people wanting my tutorials, and wanting them AGES after they’ve been written, because it shows that you can leverage what you know for a long time and benefit a lot of people. Being able to format to just about anything someone needs is just awesome. If you haven’t bought ScreenSteps yet, head on over to BlueMangoLearning.com and download a free 30 trial of ScreenSteps Desktop and share in the fun! This week I got a chance to test out an app that’s been around for a little while but had a major new release – it’s called Scanner Pro from Readdle. Scanner Pro is designed to allow you to use your iPhone or iPad as a hand held scanner, and to let you upload those scans to various services. I’ve seen hand held scanners before that are expensive and don’t seem very reliable, why not use the device you have right in your pocket. The Readdle folks describe a scenario while you’re on a business trip and you’ve got all these annoying receipts, why not scan them in on the go so you don’t have to worry about it when you get back. I don’t travel as much as I used to but I remember when I did making my admin give me an envelope so I could keep track of all the receipts – how much easier would that have been if I could scan them in? Well let’s see how Scanner Pro works – I’ll be looking for a low hassle factor, fun to use and useful services. Scanner Pro is a universal app, so it gets good points right away there. I started with the iPhone version first, and then worked with the iPad. On the iPhone you have two buttons at the bottom, one to allow you to add a new scan using the camera, the other allows you to treat an existing image as a scan. not quite sure why you’d want to do that – maybe if you’re lazy you snap the photos one after another and then later go back and treat them as scans. 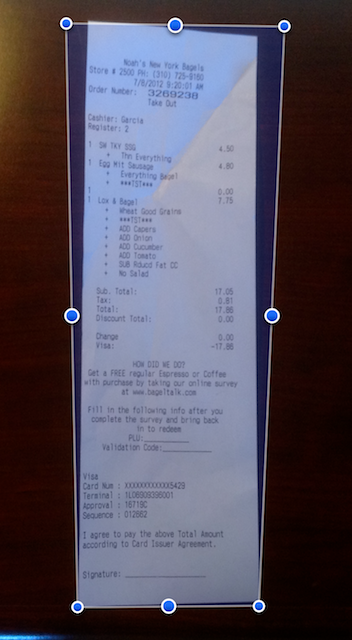 I took a picture of a long skinny receipt using ScannerPro, and it told me to hold still while it took the pic. That seems obvious but it will wait till you’re holding still enough to get a good scan. In the bottom right there’s a slider that shows one rectangle on the left, a grid of rectangles on the right. It took me a moment to figure out what that meant, and since I’m sharp as a tack I realized that the grid is for when you want to scan a multi-page document. Already I like this app because I can figure it out without a lot of reading of instructions. You know how I feel about that! After you take the picture, ScannerPro shows you the image with four blue dots in the corner. They were smart enough to assume you’d take a badly keystoned image – you know that sorta annoying trapezoid look you get if you don’t take a picture EXACTLY above a rectangle? So all you do is drag those little blue dots till they are on the true four corners so it can adjust the picture to look like a perfect rectangle. On the iPhone, since your big fat finger will be covering the image, they show you a zoomed in area so you can get the blue dot right on the corner. Nice touch. At first I paid no attention to the button in the middle at the bottom, it said “Letter” and I didn’t know what that meant. Turns out that’s a pretty critical button, it’s where you choose the paper size. When I scanned in my long skinny receipt with the paper size set to letter, it stretched that scan to fit length and height into 8.5×11, badly distorting the image. Unless you’re actually scanning a letter-sized document, I’d suggest selecting Auto from the list of options. It does have an option for Business Cards too, so that might be a good selection, you know, like if you’re scanning business cards. The next screen says Document at the bottom, and I highly recommend paying attention to this too. You can choose from Photo, the default document, or greyscale. if your scan looks good as greyscale, then definitely choose that because it will be the smallest file. I would only go to the photo option if it really is a photo. My receipt looked better as a photo scan but when I went to print it, it used about an entire ink cartridge painting this light blue background hue onto the image. Document is a good compromise in between the other two. 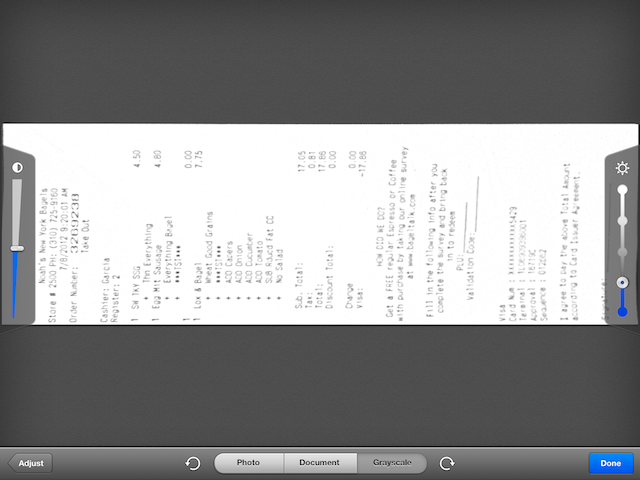 Now you’ve got your receipt scanned – it’s time for more fun. You can email it, edit the name, print, fax, add a password to it, or open it in a bunch of other services. You can open it in iBooks, Borders, Kindle, SkyDrive, Evernote, Dropbox, and oddly Air Sharing. I believe the options you’re shown here are highly dependent on what you have loaded on your phone, as I have all of these service. I was showing off how cool ScannerPro was to Steve and he said, “that’s cute Al, now you have your credit card statement in your phone and if you lose your phone someone has your credit card number”. Oops, good point Steve. So I decided I’d better figure out that password thing. I enabled password protection and gave it a strong password. I then uploaded the scan to Evernote – and when I tried to upload it, I got a prompt for the password. Good deal. I opened Evernote on the iPhone and again I was prompted for the password to open the file. Then I opened Evernote on my Mac. There was an entry but it had a dark brick red banner where the document should have been. Luckily I’d received password protected PDFs in email before and recognized the color. I right clicked on that banner, selected open, and I was treated to a giant red rectangle with an area to enter the password. Yay, it worked! I think Evernote could have handled it a bit more gracefully so I didn’t have to figure that out, but ScannerPro did a perfect job of protecting my content. I uploaded the same file to Skydrive and testing from the SkyDrive app on my iPhone also prompted me for the password. Well, perfect in UPLOADING protected content. Unfortunately ScannerPro has a fatal flaw – it doesn’t require a password to open the file in ScannerPro! I thought maybe it was cached so I quit ScannerPro and then forced it closed too, but upon reopening I was able to access that supposedly password protected content. As much as I’m enjoying this app, that seems to be a big mistake. Perhaps I’m not doing it right but I don’t see how I could have messed that up since it does have the pw on the other services. It turns out that in the Settings for the app you can password protect the entire app so your data is secure on the phone. ScannerPro does sync to the cloud so that might be something to worry about but your data is safe on the phone as long as you give the app a strong password. As much as I enjoyed the iPhone app, the iPad version is 10 times nicer. With the bigger screen, you can see what you’re doing so much more easily. When you’re told to hold the camera still, you can actually see when the picture comes into sharp focus. Setting the blue border dots is easier too because your big fat fingers are not as big or fat compared to the dots. The other thing you gain with the iPad version which is huge, is you get brightness and contrast controls after you take the image. One slider on each side with obvious graphic elements so it’s easy to see what they do and how to use them. This app is really designed well. Using these you can make a greyscale or document version look great and not require going up to the photo version. I tested out printing documents from ScannerPro and it worked well and really helped me understand the importance of the size and quality decisions I’d made. When you first start the app on either the iPhone or iPad, it asks you if you want to enable iCloud, so that your scans show up on all your iOS devices, very cool. ScannerPro offers some nice organization capabilities, you can name your scans, and create folders too. Again it was obvious how to use these functions, just click the folder icon to create and name a new folder, and then push and drag on a document go get it into the folder. I can tell right away that I’d want subfolders and tagging though, I would prefer to keep my documents in ScannerPro than have to upload to an Evernote, but I guess it’s good that they don’t try to do everything for you since Evernote is so good at that. Bottom line time – I think ScannerPro is a lovely application, easy and fun to use (would actually encourage me to start scanning it’s so easy) but they really do have to figure out how to protect your documents when they’re stored on the device. I’ll write to the developers and see if I missed something on the password protection thing, and get back to you when they respond. For $7 I think this is a fantastic universal app for the iPhone and iPad from readdle.com. Terrance Gaines joins us this week – also known as BrothaTech from brothatech.com. I met you through the SMR Podcast – how did you get to know these jokers? You refer to yourself as a digital evangelist – helping people “adopt the digital lifestyle” – what’s that actually mean? • Windows 8 – in spite of my dislike of it, people will develop for it. Will that work? • Android is outselling iOS, but iOS accounts for more web traffic, or at least on parity with Android. • Maybe this ecosystem is only interesting to the superusers and not to normal people? Maybe norms use their phones to make calls and they don’t buy apps? • How about the accessory market too? • I think about how vast the market is for iPhone/iPad cases, battery packs, car adapters, stereo adapters, iHomes. How does this work when there are literally hundreds of models of Android phones and tablets – do you get the choice of one or two cases for each model? That’s going to wind this up for this week, many thanks to our sponsor for helping to pay the bills, Blue Mango Learning at bluemangolearning.com makers of ScreenSteps and Clarify. Don’t forget to send in your Dumb Questions, comments and suggestions by emailing me at allison@podfeet.com, follow me on twitter at @podfeet. I contribute a fair amount over on Google Plus nowadays so just search for me by name if you want to circle me up. If you want to join in the fun of the live show, head on over to podfeet.com/live on Sunday nights at 5pm Pacific Time and join the friendly and enthusiastic NosillaCastaways. Thanks for listening, and stay subscribed. If I owned enough stock to change Apple’s direction, I would. Courtesy of Leo I learned Apple just pulled out of EPEAT. Great article there: since pasted links seem to cause problems HERE, simply Google iFixit Apple Ditches Green Standard. And Jim is very right about his iPad. It is one thing if old hardware dies a natural death, but because of Apple’s stranglehold over the mandatory iStore update process, Apple can kill anything I anytime it wants. As it did MY iPod Touch Gen 1, Jim, by leaving it in the iOS dustbin of history. Why bother replacing its dead battery when it won’t do much anyway? Apple’s reported to have sold 15,000,000 iPad 1s. Laid end to end, that’s 2,263 linear miles of non-recyclable iPad 1s heading for the landfill. Oh, and mine cost $900.68 for the full rig 3G 64GB model, on June 29, 2010—and has newer, better, hardware than the iPhone 3gs Apple is giving iOS 6. There’s a message here, and it isn’t pleasant. Really enjoyed CCATP with BrothaTech. I particularly like how he turned the tables and interviewed you for much of the talk. He’s got an engaging style and you two seem to hit it off. One recommendation to BrothaTech: please get a good mic. My guess is that he was talking into an Apple in-line mic. That’s fine for a phone call but it picks up too much extraneous noise for a podcast interview. George, I assume you saw Bob Mansfield’s letter stating that “all eligible Apple products are back on EPEAT.” The intentionally unstated point is that fewer Apple products will be eligible. Pretty amazing to see a letter from Apple acknowledging that they made a mistake. George, one more item. You can paste a link into a comment if you leave off the http:// Not sure why WordPress doesn’t like that part. I’ll talk to Al. A better mic is the 1st thing on my to-do list…after updating my MacBook Pro’s Hard Drive. Which I just pulled the trigger on. So the next time i’m on the show *crosses fingers* You will not hear my shirt rubbing up against the mic, lol!